Jurgen Klopp may once again move to address Liverpool’s problems at left-back next summer. Last season, the Reds’ boss opted to move James Milner into the defence, but this time around, he has restored the error-prone Alberto Moreno as a regular starter. Unsurprisingly, their problems at the back have been their undoing so far in the campaign and they are already trailing league-leaders Manchester City by five points after just six games played. Andrew Robertson was brought in from Hull in the most recent transfer window, yet while he’s been impressive in Scotland’s World Cup qualifiers, Klopp doesn’t yet seem ready to put his faith in the 23-year-old on a regular basis. According to the Liverpool Echo, that could see him turn to Napoli’s Faouzi Ghoulam. The former Saint-Etienne defender is not expected to sign a new contract despite his current club sitting top of Serie A.
Fulham’s Ryan Sessegnon is another option, though Liverpool are likely to face serious competition for the 17-year-old, who has only this year signed his first professional contract with the Cottagers. 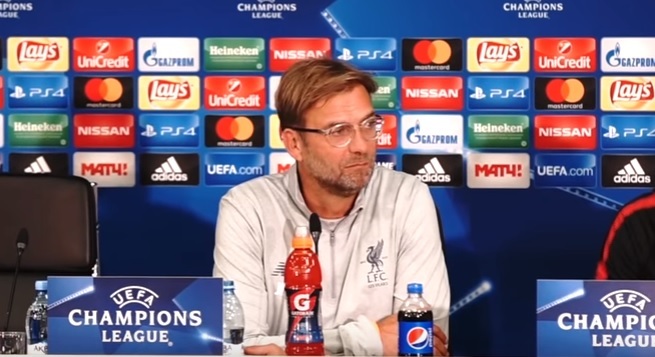 What does seem inevitable is that Klopp will have to do something about his left-back and centre-back issues soon if his side are to challenge for the major honours.